Learning how to sell jewelry online successfully is about following what has already been tested, being innovative and measuring your results. Start with the tried and true and then add your own creativity to the mix. See what works and build on that. Over time I will cover how to sell jewelry online with various articles that address the ways in which you can make your website succeed. If you are just starting a jewelry business you may want to get your jewelry onto a marketplace site that already has a built in audience such as Etsy. Jewelry Keywords Part 1 - How to Get Traffic From your Images Before you ever put up an image on your website you need to prepare your images to be found! Jewelry Keywords Part 2 - How to Compare Keywords - Learn how to find and choose high demand/low supply jewelry keywords for your website. 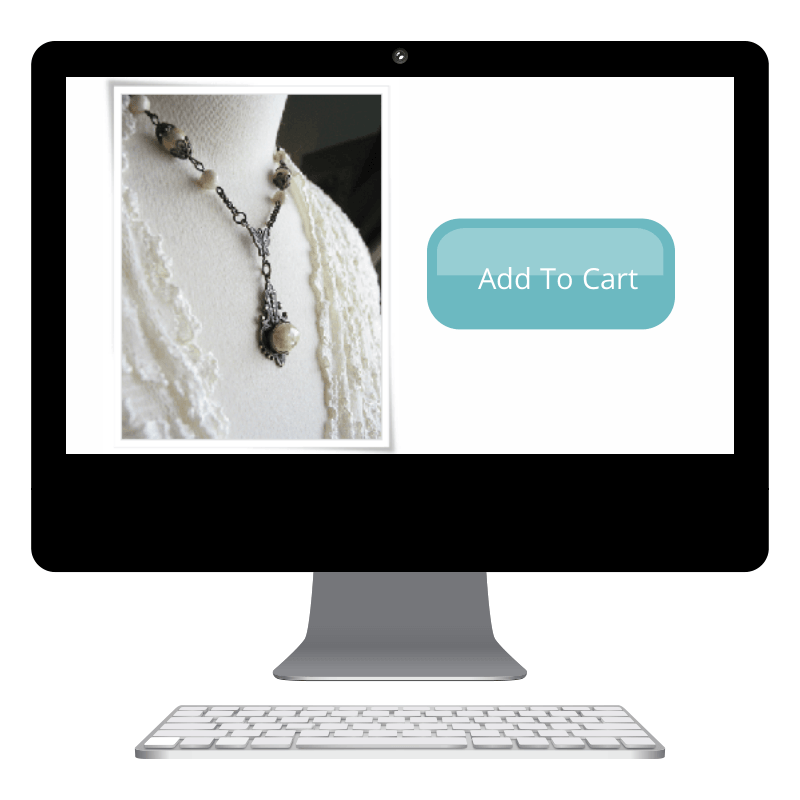 Jewelry Keywords Part 3 - Using Plural Keywords - Do plural keywords make a difference? Yes... but you have to learn when and how to use them. Marketing on Facebook - Find out how to use Facebook to grow your list and reach a highly targeted audience. Selling on Facebook - Get the lowdown on four great apps for selling jewelry right from your Facebook page. 3 Must Have Product Photo Styles - How to Photograph Jewelry Part 1 Discover the three must have photographic styles that will help you sell and promote your jewelry every time. 5 Tips for Photographing Jewelry - How to Photograph Jewelry Part 2 Learn five tips that will keep your product photos looking professional and top notch. How to Edit Photos - How to Photograph Jewelry Part 3 - 12 tips for editing your photos to sell online and promote your work. When planning a website I love to get out a nice big notebook and plan my site visually. Think of your website blueprint as an illustrated book with a variety of chapters. Your navigation bar will be your chapter headings and each page will contain quality content and fabulous images. You may even have sections within your chapters. Having sketches and notes of how you want your site to look and operate will help you greatly. Doing this will teach you how to sell jewelry online by having a visual outline before you start. You will find that being able to refer to your paper blueprint, while you are building your site, will make the process much easier. Please check back again as I add to this page and feel free to email me with questions or ideas. I would love to hear from you!